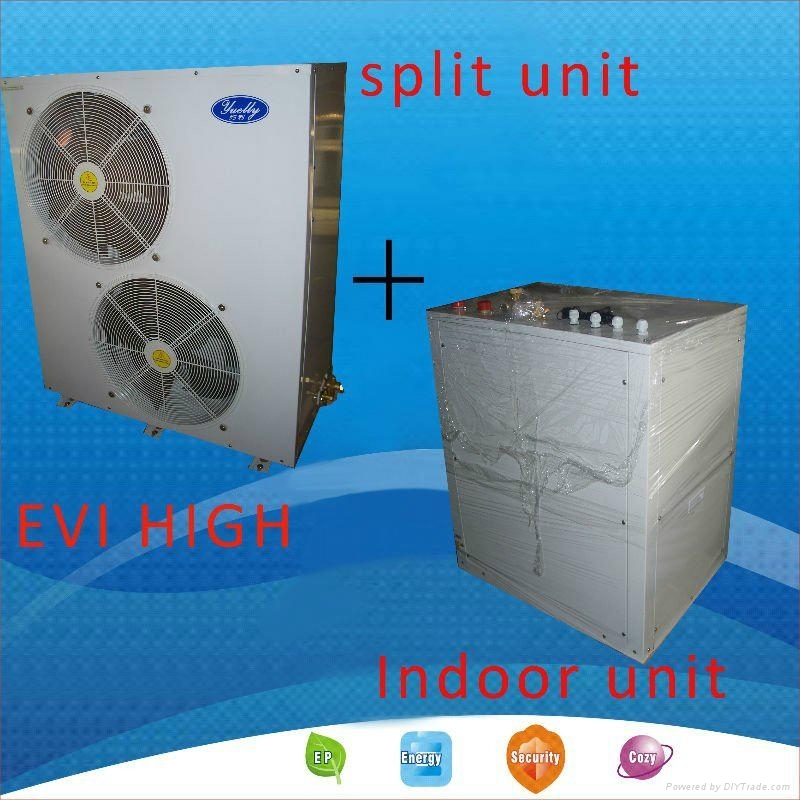 COPLAND EVI water heat pump The YUELLY heat pump can achieve enough capacity under environment of -25°C temperature and produce the 60°C high temperature hot water continuously to provide the house with warming and hot water. provides the house heating( hot water, floor heating, radiator) solution for residential and commercial application, especially in cold area. YUELLY company has developed a strong program of energy-saving control unit to provide a stable and efficient for the control.Strong function of second heat source to provide more options. In full accordance with EN14511 requirement and testing. 1) Reliable compressor with R410A or R407C refrigerant. 10) Air exchanger (fins - coil) with hydrophilic coating.